The ultimate in home hire beds. 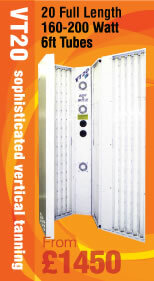 This Stand up unit provide you with 360 degrees tanning with salon strength 20 x 160 Watt 6ft RUVA tubes. It has 3 powerful cooling fans and takes up less than 1 meter floor space. Hinged front panel for easy access. Go on treat yourself !!! Very popular beds, Advanced booking recommended. Commerical power 160 Watt high intesity reflector tubes. 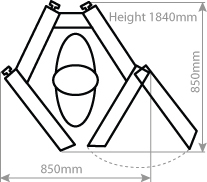 Close proximity tanning area adjustable to suit customer requirements. 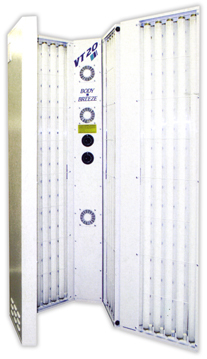 Full power factor correction as standard. All round guard protection system and twin 10 minute safety timers.